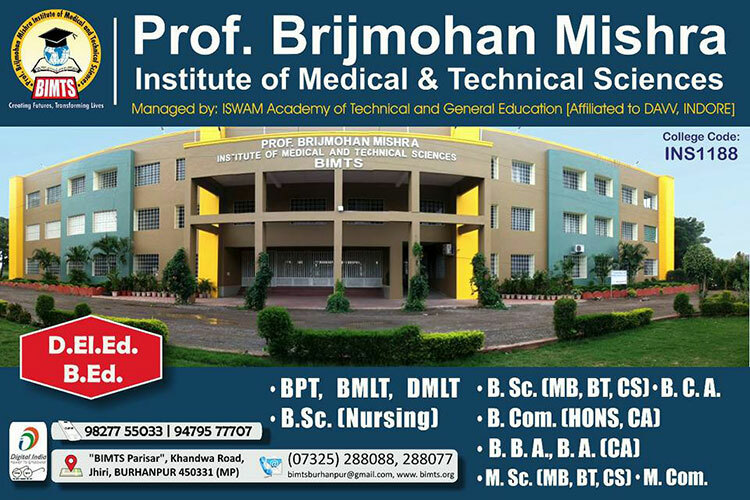 Welcome to Prof. Brijnohan Mishra Institute of Medical & Technical Science. In the current scenario,there is cutthroat competition in the Medical field. A large number of students fail to enter the M.B.B.S. course, but it is not the end of their aspirations to serve in the medical field. There are a large number of Paramedical courses which they can pursue. All the hospitals and nursing homes and even private Medical Practitioners need Paramedical staff for serving in their hospitals. Paramedical staff is highly specialized and their skills and assistance are needed in all the hospitals and nursing homes. There is a huge demand for properly trained and qualified staff in these institutions. In fact they are an integral part of patient care. In order to meet this huge demand for this supporting staff, this institute has been started and we hope that the highly qualified and well trained personnel in this institute will be of immense value to hospitals and nursing homes not only in Madhya Pradesh but also all over the country. Apart from the theoretical training given by the experts of various fields we also have at hand an excellent 100 beded hospital to provide practical training to the candidates who will become professionals in their fields. Our main aim is to provide the society with highly skilled Paramedical Practitioners who will not only meet the demand from the patient care world but also satisfy their own personal ambitions to serve in the medical field. 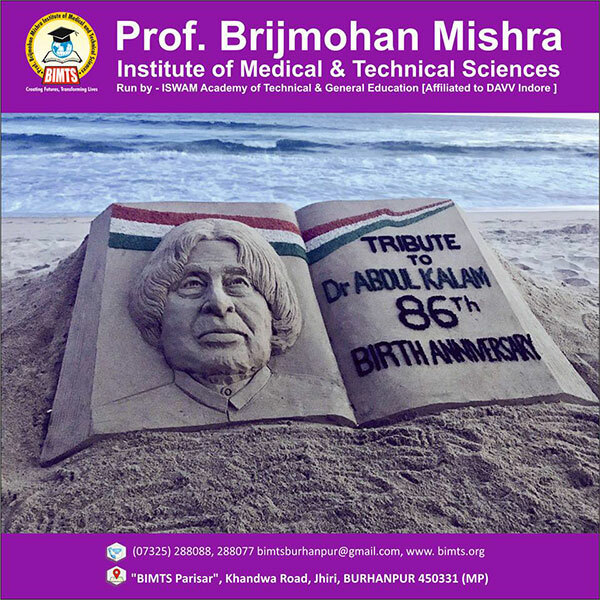 With best complements to all the students taking their career flight with "BIMTS"
Hearty greetings to all ! We at BIMTS are on the threshold of creating history - In a very short span we have scaled unbelievable heights, surely a creditable achievement.All this was possible only by our well planned strategy. 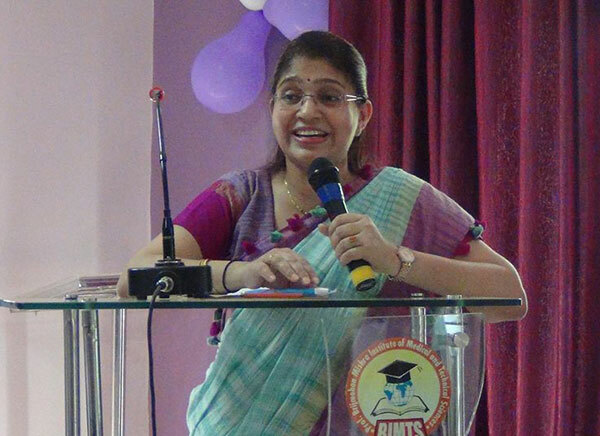 At BIMTS we stress on all round development of our students. We help the students to set an aim for themselves & then guide them in getting to this goal.All this is possible only by enforcing strict discipline, compulsory attendance, regular counseling and day to day interaction with the students & their parents.Along with it we provide a serene atmosphere suitable for pursuing knowledge.Our college boasts of well-equipped labs & library with regular sports & cultural activities. We have achieved much but we feel that we can still achieve much more but only by your co-operation & best wishes. 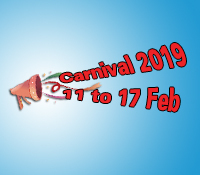 It gives me immense pleasure to inform you that from the year 2008 two new institutes under the aegis of ISWAM Academy of Technical & General Education will be started namely : 1. BIMTS College of Nursing 2.BIMTS College of Basic & Applied Sciences. These institutions will provide excellent specialized job oriented courses for students who wish to take up these courses. The students are surely going to find that these courses are immensely useful to them in their future career planning because such jobs are at present in great demand all over the country and even abroad. 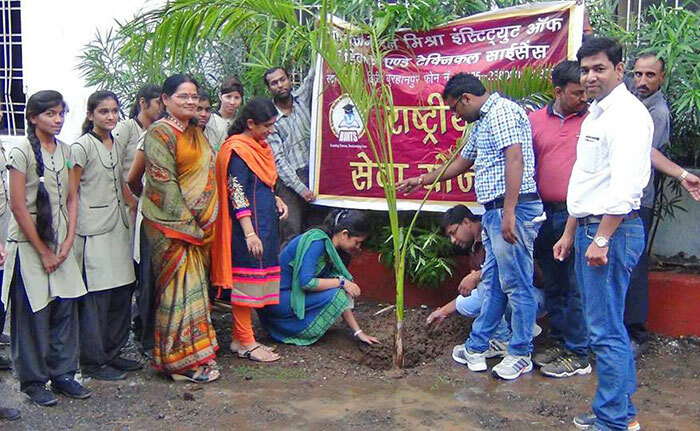 The students will be able to enrich their lives if they are able to get placements aboard. It’s our aim to provide top class infrastructure to help the students in not only qualifying for these courses but also getting jobs soon after passing out. It is my earnest hope that the students will find these courses useful. I am happy to tell you that a glittering future awaits you. All you have to do is take up the training seriously and sincerely and assist the staff and faculty in creating a congenial atmosphere. Golden opportunities await you. This is an era of specialization. 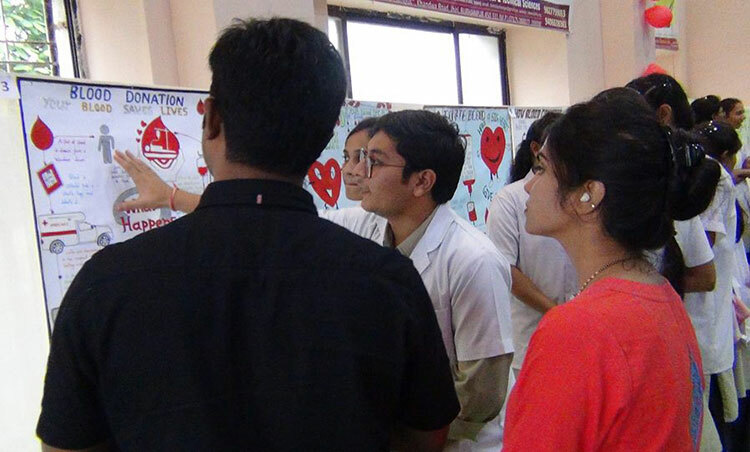 The Allopathic courses in the Medical Colleges are becoming more and more varied and complex.Along with these courses, huge importance is also attached to a wide range of Para-Medical Courses which form an important part of health and care.New and complex technologies need special training and facilities.We are very happy to be a part of this band wagon for providing these courses in health care. 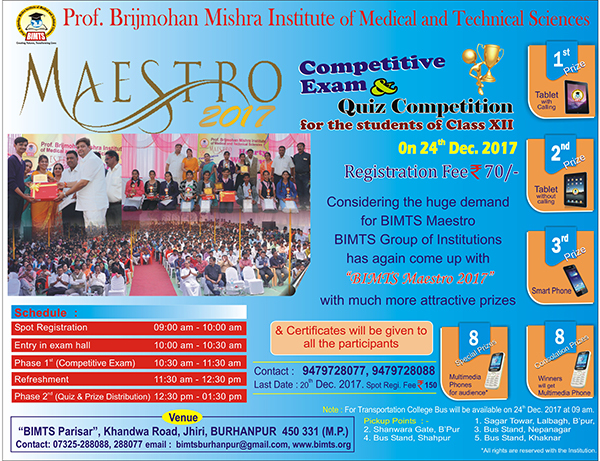 These courses are also useful to those aspirants who want to pursue medical profession but due to one reason or another could not fulfill their ambition.Prof. 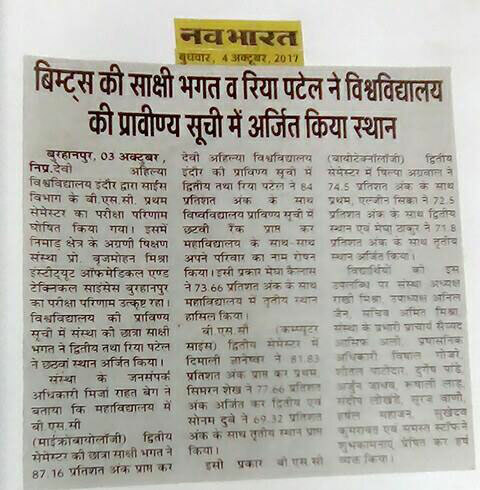 Brijmohan Mishra Institute of Medical & Technical Sciences will provide these facilities in Burhanpur. I am confident that students passing out from this institute will be in demand in various Hospitals and Nursing Homes in the country.